We saw a lot of blood drawn in the opening round of the Candidates Tournament 2018, the tournament that will determine who will be this year’s challenger to Magnus Carlsen in the World Chess Championship 2018. 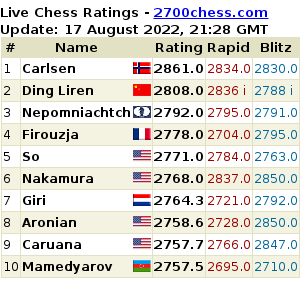 Shahkriyar Mamedyarov, Vladimir Kramnik, and Fabiano Caruana led the opening round rampage. The victims: Sergey Karjakin, Alexander Grischuk, and Wesley So, respectively.